The Shaw Prize Public Forum 2018 is sponsored and co-organized by the Leisure and Cultural Services Department, Hong Kong. Co-sponsors for 2018 are Hong Kong Science Museum, Hong Kong Space Museum, Education Bureau and HKedCity. It will be held at the Lecture Hall of the Hong Kong Science Museum on 28 September 2018. 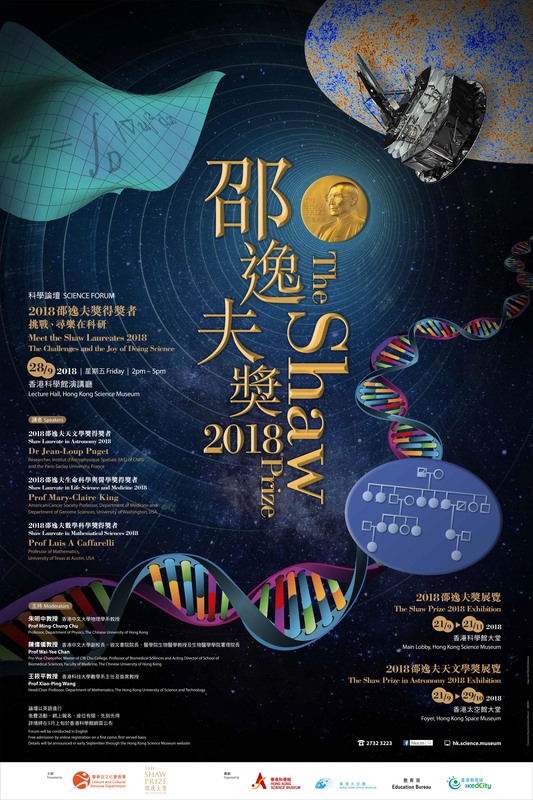 Exhibitions of the Shaw Prize 2018 will also be held at the Hong Kong Science Museum as well as the Hong Kong Space Museum.